For this challenge I made this cute little bird box.basket. I have a friend that loves birds and she is coming over Sunday. I always make her some little something when she visits. Thanks Nana~ I will be contacting you in a bit! I love your adorable bird box!! So super adorable!! 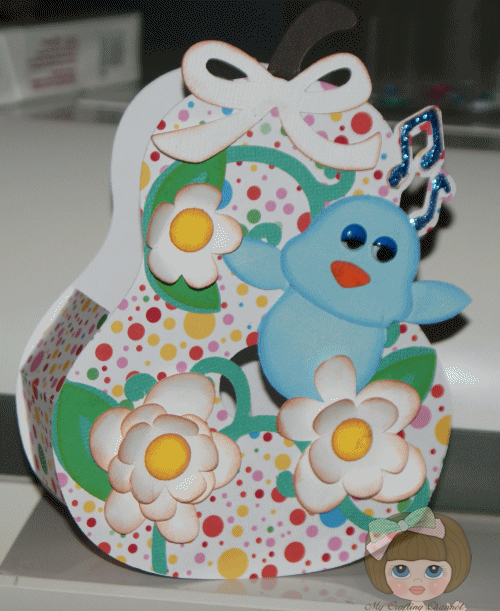 And another fun challenge...you know how I love my 3d projects!! TFS and have a GREAT holiday weekend!!!! Congrats! to the winner! What a adorable gift basket. The colours are just beautiful and I know your friend is going to just love it! I already have a project in mind for the new channel. Thanks for all your hard work you put into making your blog so fun to follow. I enjoy stopping bye. Hi Nana!Your Birdie box is so darn Cute!! !Your birdie is adorable!The flowers are very Pretty!Your friend is a lucky person!!! 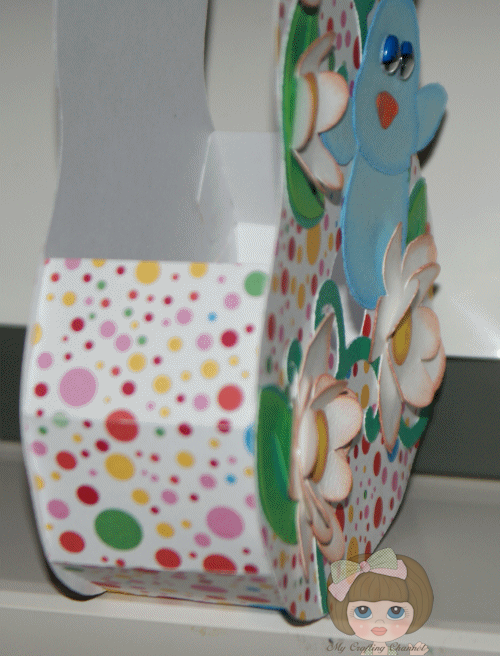 A little birdie told me that your birdie box is so darn cute...so I "beaked" in and YES, it is darling! I'd love to join your SVG challenge, but don't have the machine to do it with. I'm so excited for Jessica-- That is my birthday card that she sent me Congrats Jessica. Nana I love your bird box that is just too cute. The bird box is so cute! Thanks for sharing with me about this site. Love the bright colors of your creation!